Ex-governor of Russia’s Bryansk Region to be released on parole | Russian Legal Information Agency (RAPSI). 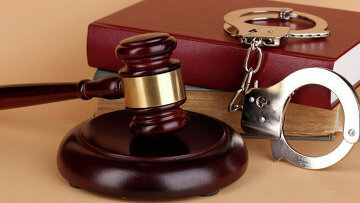 MOSCOW, April 13 (RAPSI) – The Klintsevsk City Court of the Bryansk Region has granted parole for the former regional governor Nikolay Denin sentenced to 4 years in prison for abuse of office, the court’s press service has told RAPSI. Earlier, Denin has been repeatedly denied parole. Ex-official was convicted and sentenced in November 2015. In addition to the prison term, he was prohibited from holding posts in government agencies and municipalities for 3 years. Moreover, he was ordered to pay 21.8 million rubles ($353,300) in damages to the regional budget. According to investigators, in December 2011 and January 2012, the governor acting from a selfish motive signed a decree on the allocation of more than 21.8 million rubles from the regional reserve for his family’s poultry plant where 2 people died from an explosion, and 4 others were injured. The court accorded investigators that the funds were allocated illegally, and the company disburse the money for current financial and operational activities. That local incident was unfoundedly recognized as a regional scale emergency, the court ruling reads. 14:59 13/04/2018 The Klintsevsk City Court of the Bryansk Region has granted parole for the former regional governor Nikolay Denin sentenced to 4 years in prison for abuse of office.